Excel doesn't display hours over 24 by default. But, if you change one option in the number format, you can display hours over 24. Why Excel doesn't display over 24 hours ? If you have created an Excel worksheet with whole number that represent hours, you MUST convert them. In this example, all the values are in hour format (in decimal number). The SUM of all the cells returns a value greater than 1 (general format). But now, if you convert this result into Time format, you don't see the result with values over 24 hours. The reason it's because after 23:59:59, it's 1 day. So Excel converts the result in days for the whole number and hours for the rest. To display hours over 24 you must customize your number format with brackets. 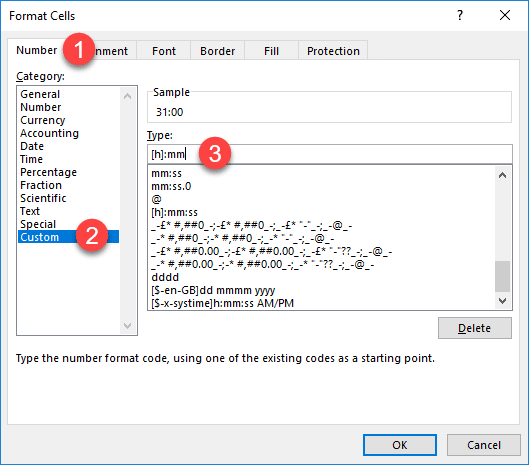 Open the custom number format. 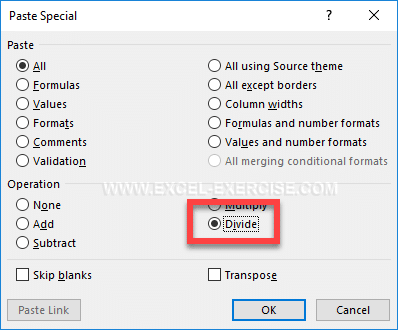 In the dialog box Format Cells, write the following code with the hour code between brackets.